SRR Competitive Shooting League is an action pistol shooting league with rules based on two of the best rule books in the industry. We use standard targets as well as electronic scoring methods. A match will consist typically of three to four separate courses of fire requiring the shooters to engage targets safely from both static positions and on the move. The shooter’s score will be determined by combining accuracy and speed percentage per stage. 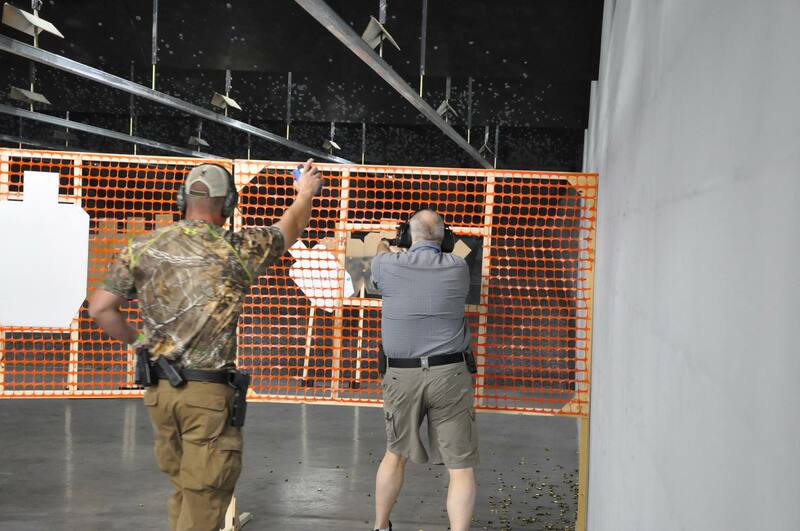 Our SRR Shooting League will be able to attract shooters from every walk of life: male, female, young, and old, those with law enforcement and military experience, as well as seasoned and new shooters. Matches will be held Sunday evenings beginning with check in between 5:30-6:00pm. with the first shot down range at 6:30pm. Matches should last between 2.5-3 hours depending on the length of the courses of fire and number of competitors. IMPORTANT: Registration will open for matches two weeks prior to the match date on Practiscore allowing for shooters to sign up to guarantee a spot in the match. Range Fees will be paid for during check-in at the range counter at Saddle River Range the day of each match.